MESSENGER image released after all! After much back and forth about whether this image was going to be received, and when it would be released, it was, in fact, released just now: our first view of the previously unseen face of Mercury! I will have much much more to say about this image later tonight -- but as it's now past 5 pm my time and my hungry (and soon to be tired) baby has now come home, it'll have to wait a few hours. But I didn't want to let this image go so long before being posted -- so here it is, for you all to enjoy! I should be back with more about it after 9 pm my time. In the meantime, here's what the MESSENGER mission has to say about it. As for my 17-month-old daughter, her comment is: "Ball!" 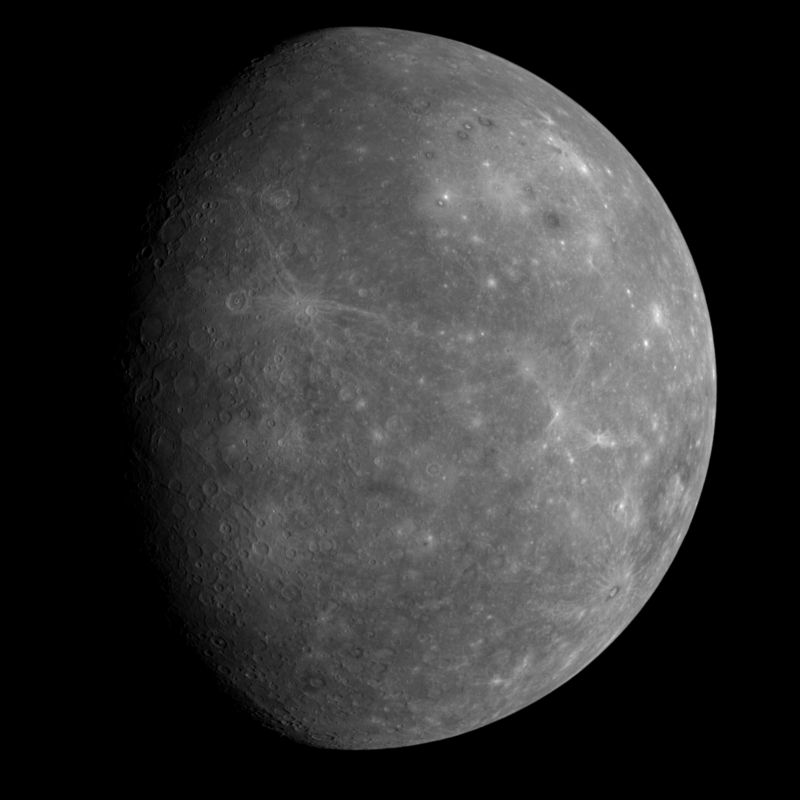 This image was taken by the MESSENGER spacecraft at about 20:24 UTC on January 14, 2008, about 80 minutes after its closest approach to Mercury. Most of the face of Mercury visible in this image was not seen by Mariner 10.